The smartphone transaction service will be rolled out across the United Kingdom before the end of 2016. 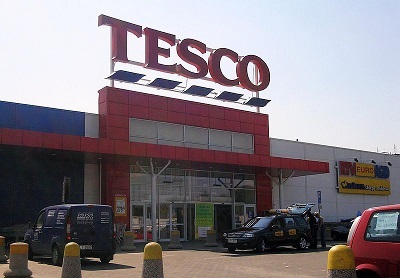 Tesco has announced that it will be rolling out its PayQwiq mobile payments service across the United Kingdom. Its services will become fully available now that it has undergone its trials successfully. This mobile payments service is meant to make it faster and easier for customers to complete the checkout process. The PayQwik mobile payments service lets consumers link credit and debit cards to the app. With this mobile application, they can pay for items purchased online or in store. To complete the transaction, they must scan QR codes displayed on-screen. The application also makes it possible to collect Clubcard points. Therefore, the points card doesn’t need to be scanned separately. Until now, the PayQwik mobile payments app was available only in London and Edinburgh. Moreover, the mobile app could be downloaded only by those with an invitation. That said, its availability will now be broadening to include consumers at 600 stores throughout those two original cities. Stores in Plymouth and Northern Ireland will also be included in this next wave. The app is compatible with Android and iOS smartphones. This mobile wallet places Tesco in direct competition with Apple Pay and Android Pay within its stores. That said, the PayQwik mobile wallet functions only within Tesco stores so the competition stops there. Among the main reasons it has an advantage over the competition while in-store is that it lets customers use their Tesco Clubcard within the app. This is appealing as it doesn’t require people to have to make PayQwik mobile payments only to have to fish a plastic loyalty card out of their wallets. Both types of transaction occur automatically and digitally. All that is required in order to complete both processes is the scan of a QR code. A spokesperson from Tesco Bank explained: “At Tesco, we are always looking to make the shopping experience simpler and easier for customers and that’s why we’ve developed PayQwiq.” So far, customer feedback on the service has been “very positive,” said the Tesco spokesperson.